Aquatabs kills water borne organisms that cause stomach upsets and diarrhoea, making water safer for drinking. 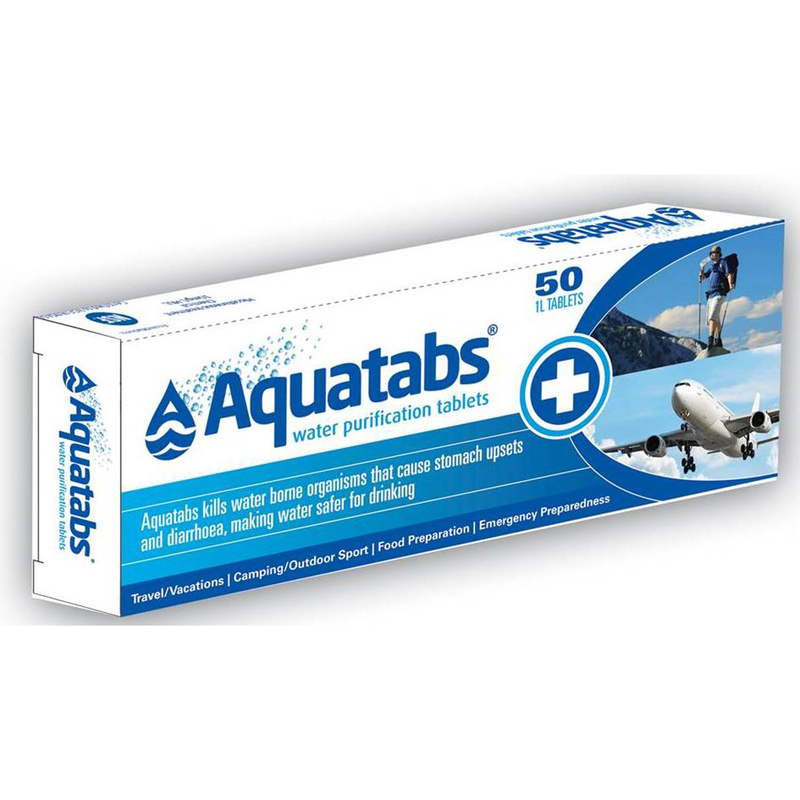 Aquatabs are ideal for the treatment of water for international travellers and for camping situations. Remove the tablet from the packaging and add to the water. Ensure that the tablet is dispersed (by briefly shaking the vessel or mixing). Wait 30 minutes for the disinfection to work and then the water is safe to drink. Do not swallow the tablet. They are effervescent (self-dissolving) tablets, whose US EPA approved active ingredient is NaDCC which is also known as Sodium Dichloroisocyanurate or Troclosene Sodium. Water treated with Aquatabs is ready to drink within 30 minutes. Each tablet treats 1 litre of water. Tablets may also be used to disinfect fruit and vegetables and items such as tooth brushes. Each box contains 50 tablets.